"I am a self-proclaimed Multipotentialite - meaning my interests and abilities are vast! I'm an academic by trade, however, I moonlight as an advocate for the voiceless, a philanthropist, consultant, writer, altruist and researcher. And when I'm not doing it all, I enjoy spending time with my family, traveling, weight training & cycling, decorating, leading my Girl Scout troop & mentoring teen mothers, playing the trumpet, taking on challenging endeavors; and breaking things: stereotypes, comfort zones, barriers, inhumanity and commonalities". In June 2017, Dr. Cole was anonymously nominated to run for the Leukemia & Lymphoma Society's (LLS) 2018 Man & Woman of the Year campaign. LLS is the world's largest voluntary health agency dedicated to finding a cure for leukemia, lymphoma, Hodgkin's disease and other blood cancers, as well as providing life-enhancing patient services designed to improve the quality of life of patients and their families. The Man & Woman of the Year (MWOY) is a 10-week philanthropic campaign for specially selected trailblazers throughout cities across America. MWOY candidates are nominated by members of their communities. They are recognized as dynamic individuals who are well connected in their communities, possess a competitive spirit and compassion for others; and are relentless in their efforts to fight cancer. "While I'm honored to be selected, I'm saddened by the uncertainty, fear and destruction that comes along with a cancer diagnosis. It is my hope that as a candidate I can bring more awareness about and dollars to the services that LLS provides. I decided to take the leap with LLS because I believe no one should lose a loved-one to an awful disease like cancer. I believe it's my responsibility to do what I can to contribute to this world. It’s my purpose. Each morning, when I drop my kids off at school, I tell them to "save the world" instead of "have a good day." You know why? They’re going to have days that aren't the greatest, much like us adults. However, if I can plant a seed which involves helping others, showing compassion, instilling hope, and getting involved with causes outside of themselves, then I've done my job as a parent. This is my attempt to demonstrate that to them and to anyone who will listen." 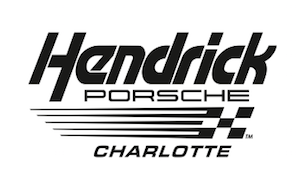 The campaign begins March 22, 2018 and concludes on June 2 at the Grand Finale Gala being held at the Charlotte Convention Center. Check back for donation information and ways to get involved! Over the last fourteen years, Dr. Cole has built a reputation as humanitarian and community leader through volunteerism and philanthropic endeavors. She has used her platform as an NFL wife to fundraise, educate, and shine a spotlight on issues that impact those around her and affect her personally. While she volunteers with multiple community groups, Dr. Cole has found that her passions align within three distinct areas. Dr. Cole has been researching the athlete population for 18 years. Her educational background, clinical experiences and knowledge, and her life as a wife to a professional athlete has given her unique insights – making her an often sought out resource. As an NFL wife, Dr. Cole quickly realized that many misconceptions and pressures came along with being “Colin’s wife”. It was then, that she recognized the need to engage other women about the importance of discovering their own voices with the hopes of changing the narrative about the stereotypes shrouding NFL wives. It was for these reasons that she was an instrumental part of three NFL franchises women’s leadership councils. She co-chaired, organized and coordinated major events and volunteer opportunities for women, including the Seattle Seahawks Women’s Association’s first Football 101 clinic for women. Her extensive engagement with the NFL community spans 14 years. In 2017, she and her husband were invited to attend the NFL’s Legends Community annual meeting in NYC. She is currently working with a major research institution and advocacy foundation to forge a partnership between active and retired NFL players and their families. This partnership is designed to address mental wellness and cognitive functioning. Dr. Cole's passion for tackling hunger is perhaps her greatest superpower. She has worked tirelessly to address the needs of those suffering from food insecurity in communities in which she lived – Green Bay, WI; Seattle, WA; and Charlotte, NC. To her credit, she has chaired planning committees for food drives for two NFL franchises in the Seattle Seahawks and the Green Bay Packers. As a member of the Women of the Carolina Panthers group, she established partnerships with community organizations such as Second Harvest Food Bank (SHFB). Since relocating to Charlotte in 2012, SHFB has been one of her favorite charities to support. She can be found organizing food drives, volunteering with distribution, sitting on planning and fundraising committees, advocating for "allergen-friendly" food donations, and encouraging others to get involved. Last Spring, she was asked to join their planning committee to assist with a women's fundraising event. Her involvement helped them raise over $100,000. Dr. Cole has been an advocate for food allergy awareness and research for seven years. She has dedicated much attention to public education, including school settings – drawing from her background in school counseling. In 2016, Dr. Cole and her family was nominated to serve as the spokes family for FARE’s (Food Allergy and Research Education) Charlotte, NC Food Allergy Hero’s Walk Event. The following year, she was nominated by FARE’s liaison to chair the event. Under her leadership, she partnered with the local food bank to host the first “allergen-friendly” food drive of its kind at the event. Shortly thereafter, she was contacted to assist with designing the cleats of Buffalo Bills Head Coach Sean McDermott’s for the NFL’s “My Cleats, My Cause” campaign highlight food allergy awareness. Dr. Cole believes that public awareness and education are integral to understanding food allergies, however, they are not enough. Advocacy and research serve as significant factors in the fight against this invisible, life-altering, and at times life-threatening disease. 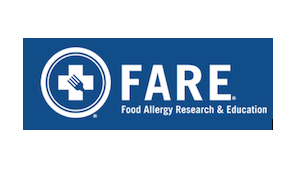 It is for these reasons that she accepted the invitation to help create a food allergy awareness taskforce designed to address legislation around food preparation in North Carolina restaurants. 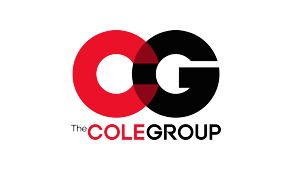 Dr. Cole views teaching and consulting as a collaborative effort between consultant and client as both strive to gain an understanding of a reoccurring problem and to obtain new insights about familiar ones. Within this collaboration, her role as a consultant involves facilitating learning and engagement at many levels. Alongside her husband, 11-year NFL Veteran Colin Cole, she provides consultation for numerous community groups, businesses and individuals. Her expertise includes working with high school, collegiate and professional athletes; counseling various populations; consulting with various community organizations; leading focus groups; and addressing diversity challenges in the workplace and schools. In addition to consulting, Dr. Cole is an adjunct professor and researcher. She teaches courses in school counseling, counselor education, and multicultural counseling. 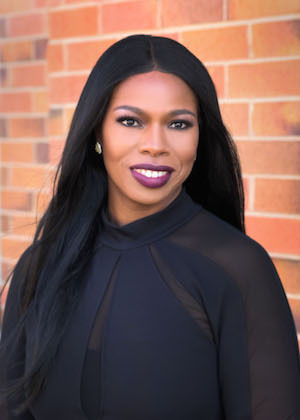 As a counselor educator, Dr. Cole believes that educating future school counselors and mental health practitioners in areas that are reflective of an ever-changing society is a key factor to addressing the mental health needs of students. Because of this, she is committed to engaging stakeholders about diversifying counseling programs, hiring those typically underrepresented in school counseling professions, and addressing gaps in teaching programs. She has consulted on these topics with school districts, community groups, and university advisory meetings. Dr. Cole is available for public appearances, speaking engagements, special events and promotions. Please complete the contact form for more information.